The Dynamic Host Configuration Protocol (DHCP) is a service that runs at the application layer of the TCP/IP protocol stack to dynamically assign IP addresses to DHCP clients, and to allocate TCP/IP configuration information to DHCP clients. This includes subnet mask information, default gateway IP addresses, DNS IP addresses, and WINS IP addresses. The DHCP protocol is derived from the Bootstrap Protocol (BOOTP) protocol. The DHCP server is configured with a predetermined pool of IP addresses (scopes), from which it allocates IP addresses to DHCP clients. During the boot process, DHCP clients request IP addresses, and obtain leases for IP addresses from the DHCP server. When the DHCP client boots up on the network, the DHCP lease process occurs between the DHCP server and DHCP client. 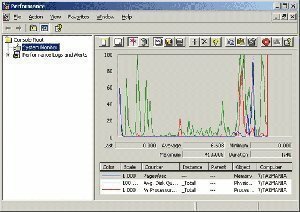 During the DHCP lease process, the DHCP scopes configured for a DHCP server is used to provide DHCP clients with IP addresses. DHCPDISCOVER message: This message is sent by a client when it boots up on the network to request an IP address lease from a DHCP server. The message is sent as a broadcast packet over the network, requesting for a DHCP server to respond to it. DHCPOFFER message: This message is a response to a DHCPDISCOVER message, and is sent by one or numerous DHCP servers. DHCPREQUEST message: The client sends the initial DHCP server which responded to its request a DHCP Request message. The message indicates that the client is requesting the particular IP address for lease. DHCPACK message: The DHCP Acknowledge message is sent by the DHCP server to the DHCP client and is the process whereby which the DHCP server assigns the IP address lease to the DHCP client. Because the DHCPDISCOVER message is a broadcast message, and broadcasts only cross other segments when they are explicitly routed, you might have to configure a DHCP Relay Agent on the router interface so that all DHCPDISCOVER messages can be forwarded to your DHCP server. Alternatively, you can configure the router to forward DHCP messages and BOOTP message. In a routed network, you would need DHCP Relay Agents if you plan to implement only one DHCP server. Configure your routers to forward broadcast messages. The DHCP Relay Agent makes it possible for DHCP broadcast messages to be sent over routers that do not support forwarding of these types of messages. The DHCP Relay Agent is therefore the routing protocol that enables DHCP clients to obtain IP addresses from a DHCP server on a remote subnet, or which is not located on the local subnet. If you have no configured DHCP Relay Agent, your clients would only be able to obtain IP addresses from the DHCP server which is on the same subnet. To enable clients to obtain IP addresses from a DHCP server on a remote subnet, you have to configure the DHCP Relay Agent on the subnet that contains the remote clients, so that it can relay DHCP broadcast messages to your DHCP server. The router will drop DHCP broadcast messages if it is not configured to forward them, and no DHCP Relay Agent exists. The DHCP lease process would not be able to place. The initial message sent by the DHCP client is a broadcast message. Enable Routing and Remote Access Server (RRAS). Install the DHCP Relay Agent routing protocol. Configure DHCP Relay Agent properties. Configure/enable the DHCP Relay Agent on the router interface to forward DHCP broadcast messages. View statistical information on the operation of the DHCP Relay Agent. Click Start, All Programs, Administrative Tools and then click Routing and Remote Access to open the Routing And Remote Access console. Right-click the node of your server, and then choose Configure And Enable Routing and Remote Access from the shortcut menu. The Routing and Remote Access Server Setup Wizard launches. On the Configuration page, select the Custom Configuration option. Click Next. On the Custom Configuration page, enable the LAN Routing checkbox. Click Next. Verify your configuration settings on the Summary page. Click Yes when prompted to start the RRAS service. Open the Routing And Remote Access console. Expand the IP Routing node in the console tree. Right-click the General node, and then select New Routing Protocol from the shortcut menu. The New Routing Protocol dialog box opens. Right-click the DHCP Relay Agent node, and then select Properties from the shortcut menu. 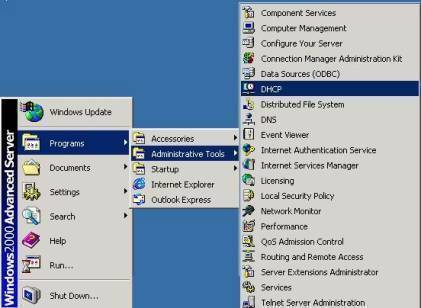 On the General tab, enter the IP address of the DHCP server in the Server Address text box, and click Add. 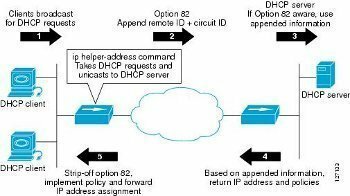 Repeat the above step for each DHCP server that you have to add. Right-click the DHCP Relay Agent node and then select New Interface from the shortcut menu. Select the interface that is on the same subnet as the DHCP clients. 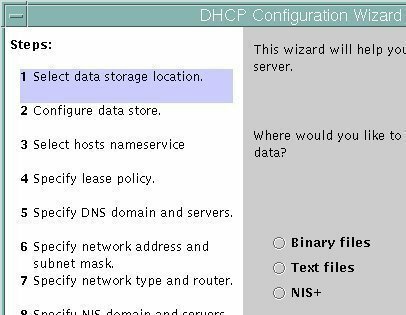 In the DHCP Relay Properties dialog box, ensure that the Relay DHCP Packets checkbox is selected on the General tab. You can change the Hop-Count Threshold and Boot Threshold values. Very useful article, thank you for writing it, it helped me understand dhcp relaying much better! I am trying to configure VPN on Windows Server 2008 R2 but when i install RRAS it tells me that i need to configure DHCP relay agent as well. I have two NICs on different subnets. The same server is also running DHCP server. I have tried configuring the DHCP relay agent but the VPN access does not work. Also after installing RRAS the local IIS access stops working and users cannot access the local on premise Dynamics CRM 2011 server (also installed on the same server). Can you please offer some guidance? The DHCP relay agent can’t run on a Windows Server 2008 that also is running the DHCP Server service or network address translation (NAT) with automatic addressing enabled. To my knowledge, “DHCP Relay Agent” must be some software that only runs on Windows based on this statement. Although this may be true… the phrase “DHCP Relay Agent” seems pretty generic such that it is NOT specific to an OS. 124 queries in 0.303 seconds.